it finally rained here in California... but sadly, only for one day. that day was enough, however, to drown the riding arenas, so i haven't been out to the barn this week. which has given me time to do stuff for the move... Jasper is now microchipped! Jewels already had one from the rescue, but both dogs are required to have one at the place we're moving to in Maryland. in honor of rain, today's blog post is on The Wet Brush! i had been hearing about this brush on YouTube, and just had to try it for myself. 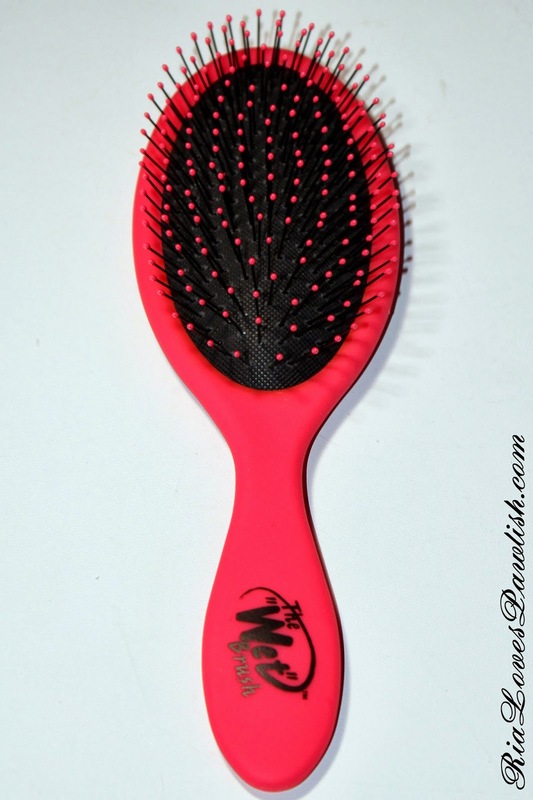 it's pitched as being a detangling brush that doesn't snag and pull, especially in wet hair. since i have super fine hair that easily rats up and falls out, i figured mine would be a good test. 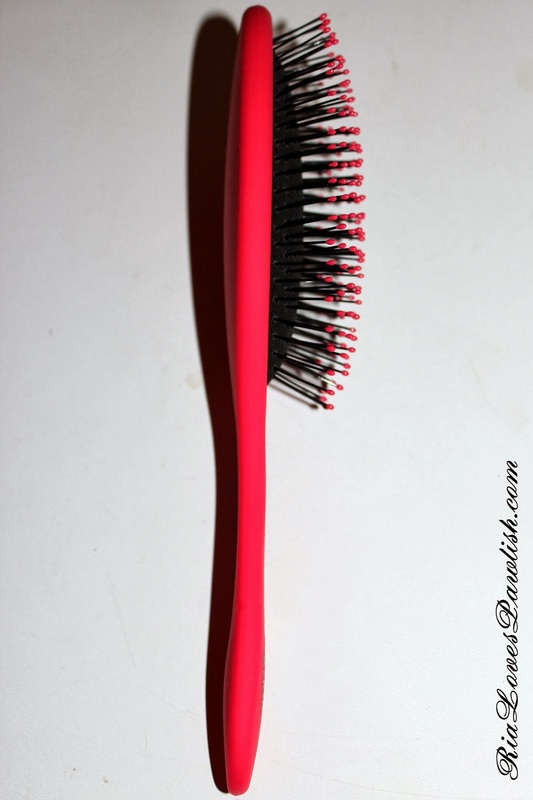 the brush works well in my dry hair, it slips through much more easily than a traditional brush and i love that it has a handle, unlike the Tangle Teezer. i'm noticing less fallout, too! the brush really shines when your hair is wet (as the name suggests!) 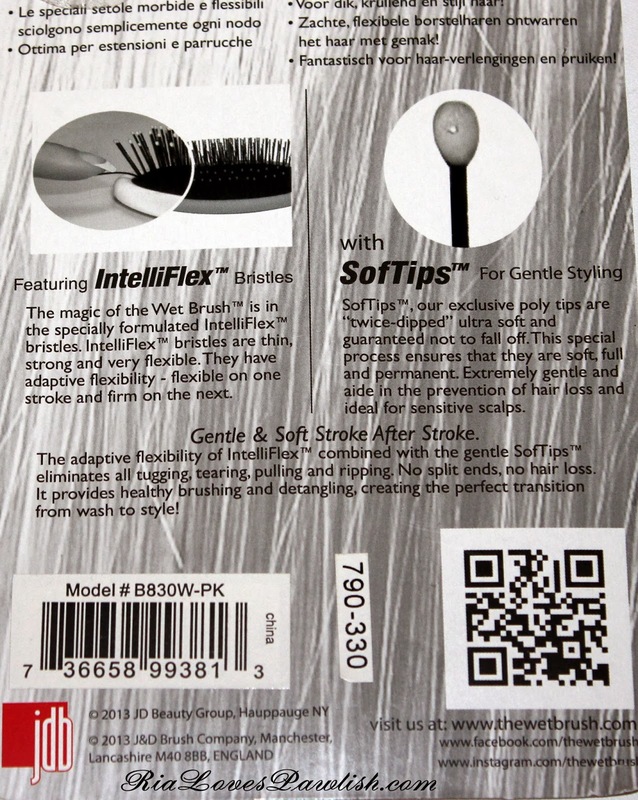 i have never had anything glide through wet hair like this brush... it's like magic. i especially love using it to spread product throughout my hair when it's wet... just makes the process so much easier! from the side you can really see how thin the bristles are... and they are SUPER flexible. i bought The Wet Brush from Ulta for a bit over $10... i've seen it at Sally Beauty Supply as well. 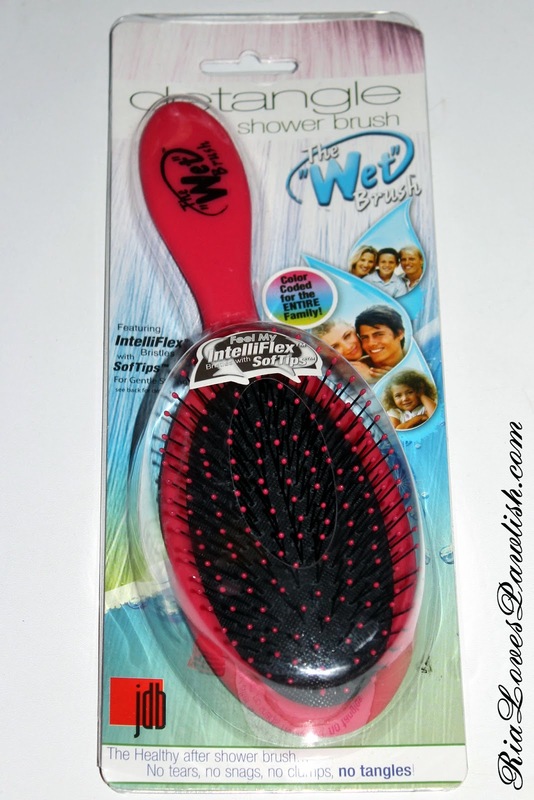 you can also check out www.TheWetBrush.com, here's a direct link to their products page! they have some other products i'm interested in checking out and The Wet Brush itself is available in loads of colors... i'm, of course, happy with the pink!